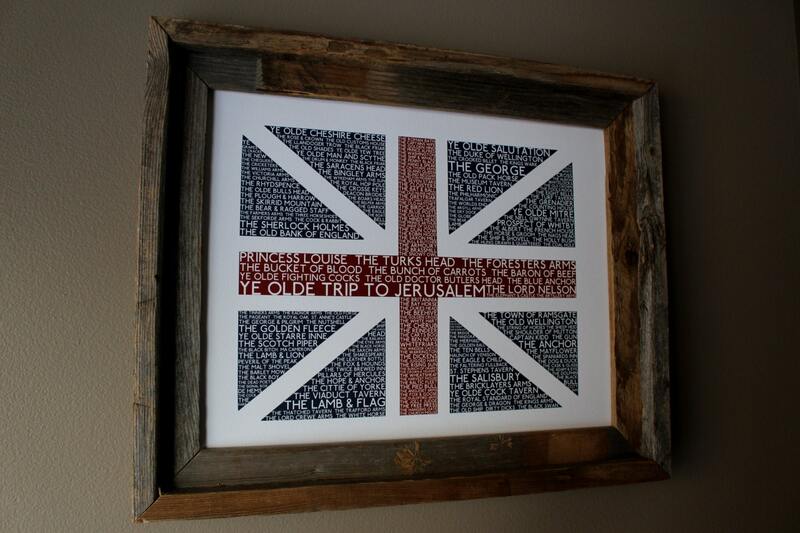 Are you as obsessed with Britain as we are? 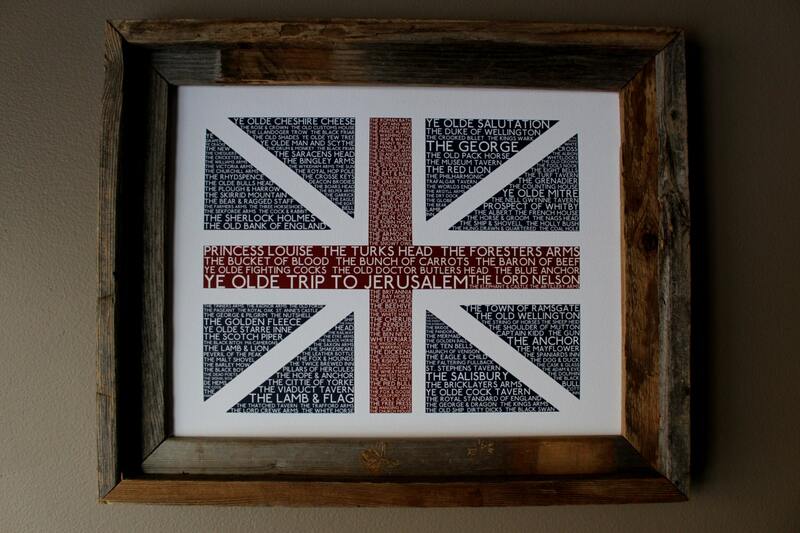 Find your inner anglophile or just show off your love for the pubs of Britannia with this Sceptered Isle 11 x 14 British Pubs Union Jack Print. 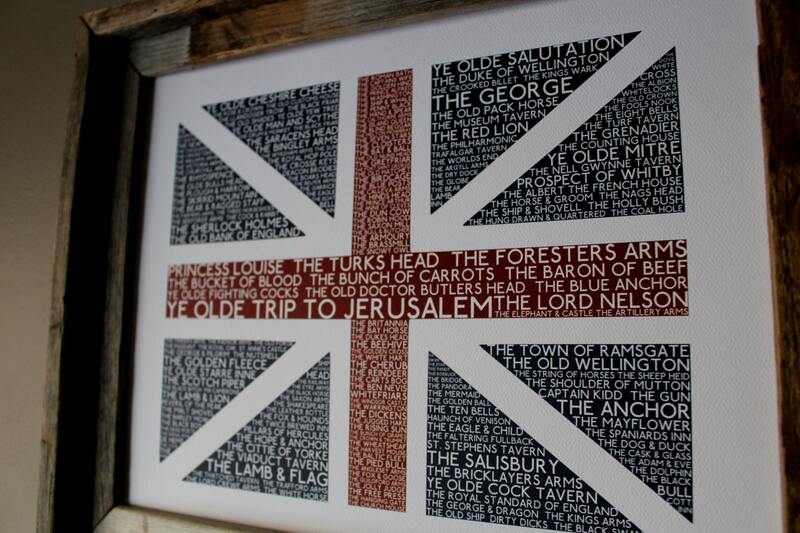 The pub is the family room of Britain and the names of Britain's pubs portray a glimpse into the history, culture, and attitude of this wonderful set of Isles. 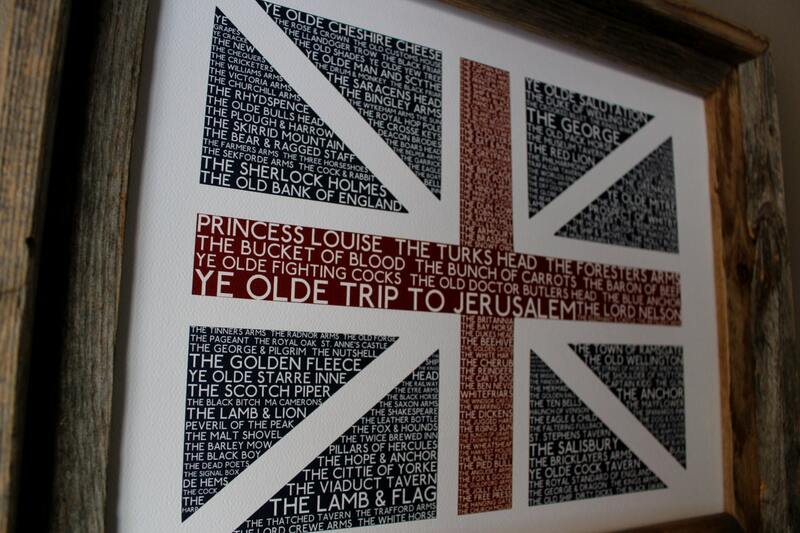 From Ye Olde Trip to the King's Arms, they are all included here!